Applications are currently ongoing for the NNPC / Total E&P 2015/2016 Scholarship Scheme and all interested 100 and 200 level students are invited to apply. The programme is aimed at promoting academic excellence and quality manpower development in the Country. This is one of the the many ways Total demonstrates its commitment to the educational development of Nigerian students. 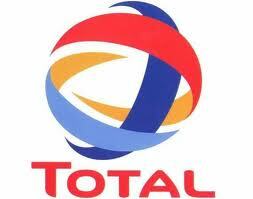 This is part of Total’s rich Corporate Social Responsibility. This scholarship scheme has been successfully carried out over the years. The 2015/2016 is due and this web portal is dedicated to receiving applications from eligible Nigerian undergraduates. Application Forms are available here and must be completed online. Applications will close on November 22, 2015. Selection tests will hold on 5th December 2015 at designated centers nationwide which will be communicated to shortlisted candidates only. Candidates will fully bear the cost transportation to test venue as no reimbursement shall be made. Candidates are therefore advised to choose text center closest to them. Enter your name, date of birth and permanent home address Upload your recent passport photograph. Enter your email and mobile phone information. Only use an active email and mobile phone number. Enter your state and local government of origin data. You are required to upload a certificate or proof of origin from your local government or state. Select your university, course and year of study. You will be required to upload your JAMB/University admission letter. Input your JAMB score or CPGA. You are required to upload your JAMB statement of result and university CPGA. For year two medical students, your JAMB score suffices. Admin:please explain to us uptil now 2015/2016 scholarship have not been paid.